Sake Rok, located on the Las Vegas Strip, combines Japan's vibrant pop culture and fashion scene with over-the-top theatrics for an experience part culinary, part performance and completely unique. Our Main Dining Room, Mezzanine and third floor Terrace Ballroom and Balcony provide the perfect backdrop from groups of 15 to 2,000. The Terrace Ballroom is a private indoor meeting and event space. This space boasts 13 foot floor to ceiling retractable glass walls that open to the outside balcony leaving a view that is unparalleled in the city. The room offers a one-of-a-kind 30 foot high skylight, integrated state of the art audio and visual components, 3 built in 90 in television screens and 2 projectors, and a designated entrance for all of your VIP guests. 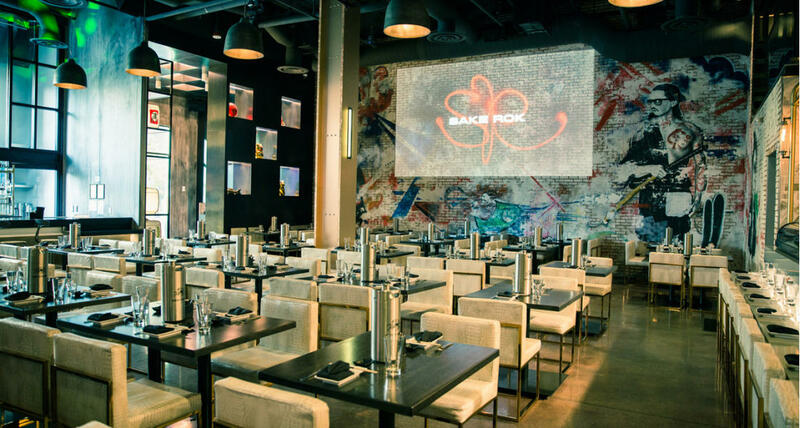 Sake Rok is available for full venue buyouts to host exclusive events with the ability to flow into The Park for indoor and outdoor exposure.